Redsper offering Hybrid Fall Rye at all 11 Redfern locations! 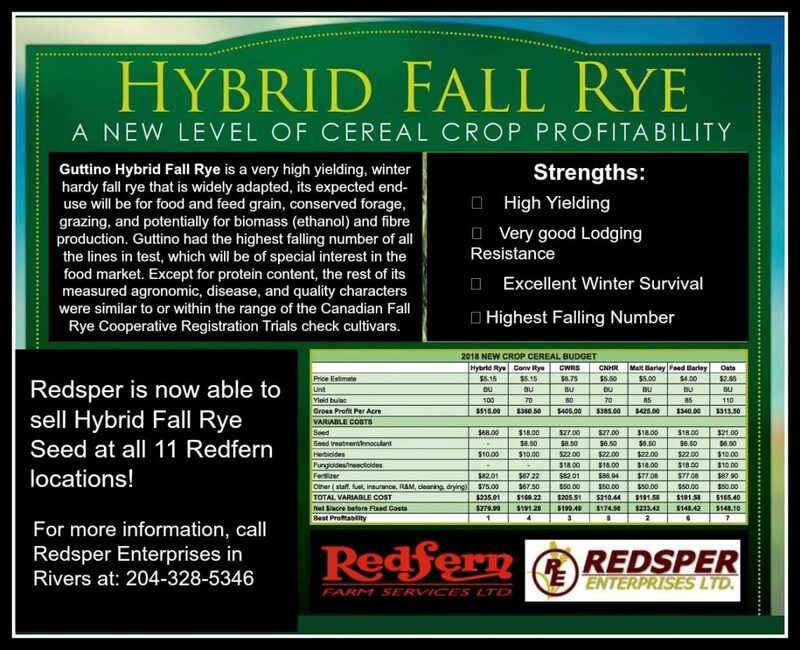 Redsper Enterprises is now able to sell Hybrid Fall Rye at all 11 Redfern locations! For more information, call Redsper Enterprises in Rivers at 204-328-5346.